It’s fun to get out and do something new and different, photography-wise. 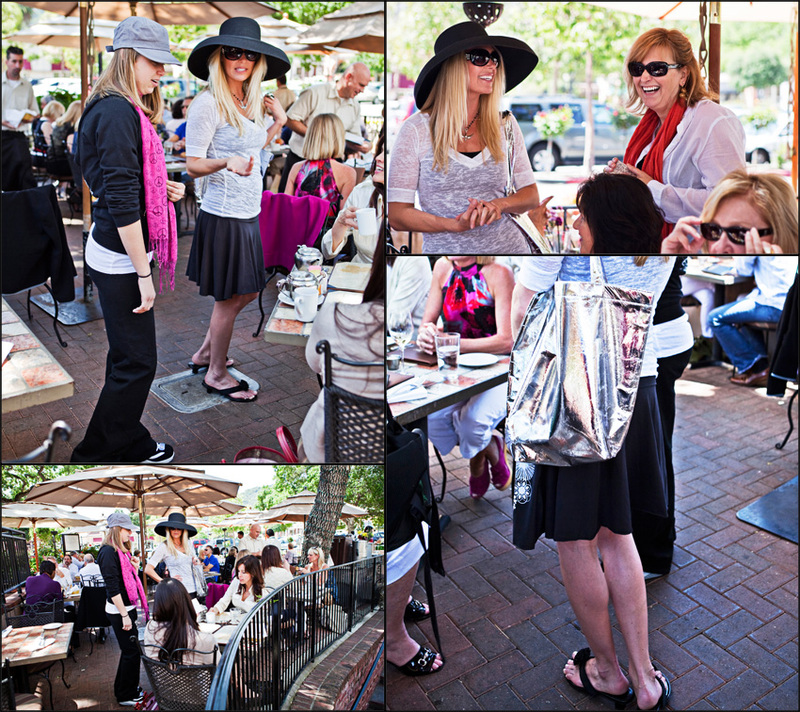 I touched base with my friend Heidi of Heidi’s of Los Gatos and it turned out she was participating in Wine & Fashion Week in downtown Los Gatos. She mentioned that some of the downtown merchants would be holding fashion shows at The Wine Cellar restaurant in Old Town. This is the store where I did a little photo shoot last year and currently has some of my work on her store walls – lots of fun fashions for moms and kids. Check her store out if you haven’t already. Here are some of the latest pieces in her store now. Oh and by the way, you may recognize Lisa – yup, she’s a yoga teacher at Yoga Source in Los Gatos modelling Heidi’s latest. Funny story, as I chatted with a friend of mine a week after the show, she happened to mention a Bikram Yoga class she was taking at Yoga Source, Los Gatos. I told her I met a Lisa who’d modeled Heidi’s clothing and worked at Yoga Source. Wouldn’t you know it? It was the same Lisa. Small world, eh.